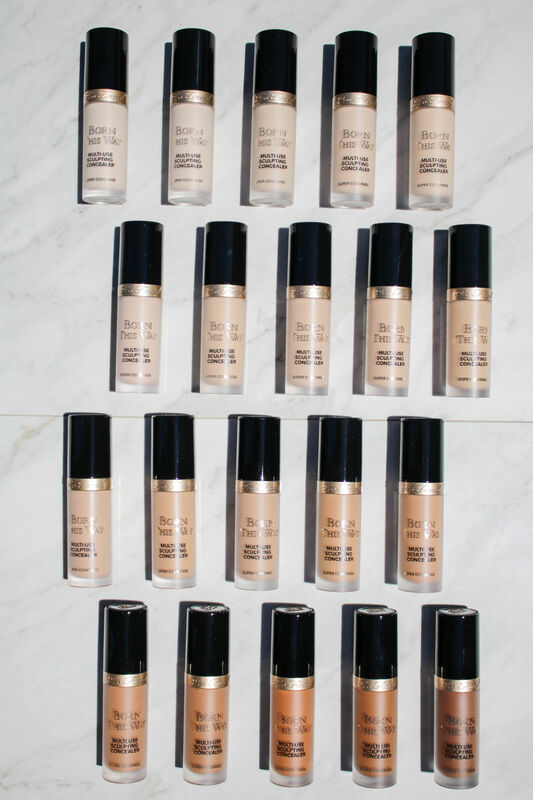 Concealer, concealer – Oh man, do I ever love concealer. I feel like those dark circles under my eyes just keep getting darker; after a late night, you can see them from space. The new Too Faced Born This Way Multi-Use Sculpting Concealer was one I knew I would have to try after being impressed with their previous Born This Way offerings, and today I’m sharing swatches, details and my thoughts on this new bad boy. Let’s get the details out of the way. 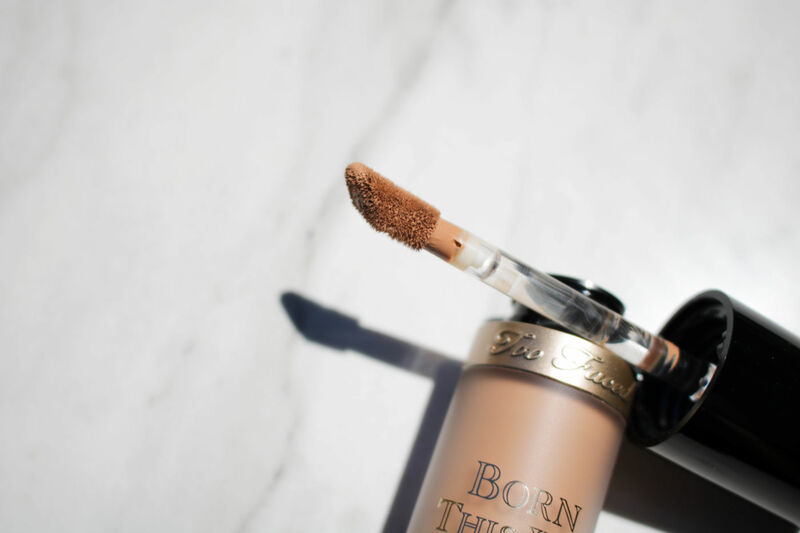 The newest concealer offering from Too Faced, this version was designed to be a multi-use product and is available in 20 shades to complement their Born This Way Foundation. The oil-free formula can be used to conceal, highlight, contour and retouch depending on the shade and what you need. One of its main highlights is that is is a super coverage concealer, meaning it can hide just about anything. As for the size, it comes in at 15 ml/.5 fl oz so you know you’re getting a good amount of product out of it. So what do I think about it? So far, I’ve been really impressed. The formula is pretty lightweight and blends in really well, without getting flaky or looking heavy on the skin. 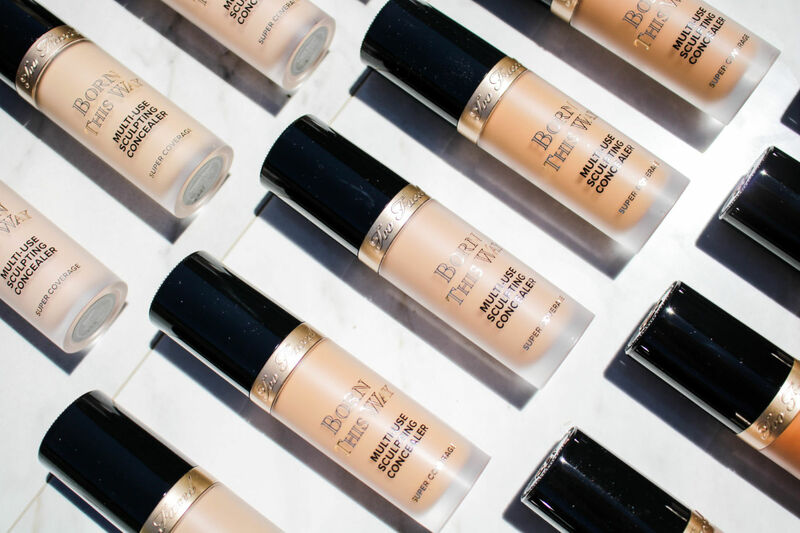 Coverage is great – I really love using it on my undereye circles (which seem to be getting darker every day) – and highlighting and contouring is easy thanks to its blendability. I felt like super coverage might be a bit too much for me, but I’ve found it to be medium-full coverage and not guilty of over perfecting. One thing I have noticed with the shades available is that a good portion of them tend to lean towards those with yellow undertones. Wear time with this concealer is pretty good, coming in at about 10 hours for me before I need to reapply, which makes it great for days where I work and head into Toronto for events afterwards. I love a concealer that does its job and lasts when I need it to. 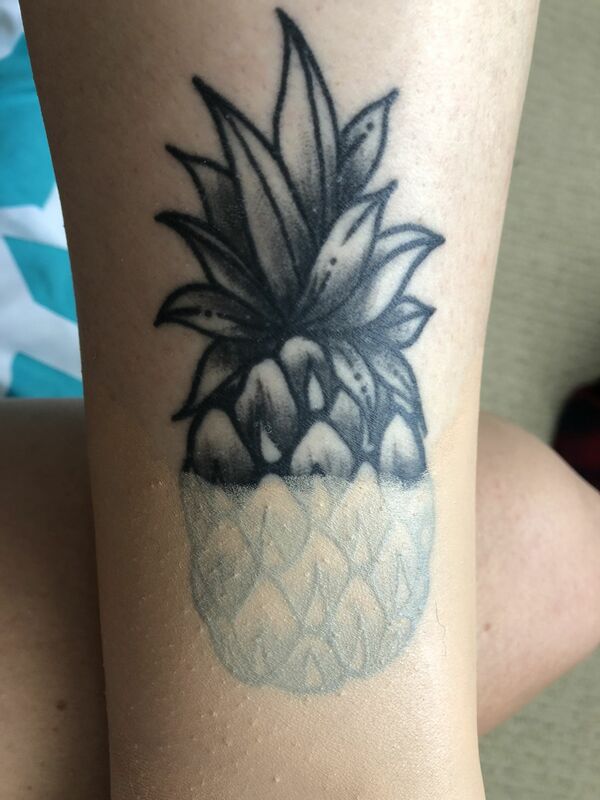 I also really like how it sits on the skin afterwards; it doesn’t dry out of flake, I’m guessing thanks in part to the coconut water included in its formula. It looks really natural on and works well with my foundation for a pretty flawless finish.I’m also a fan of the diamond doe foot applicator – it’s similar to that of Tarte Shape Tape but a bit smaller, which I find makes for better application. Of course, now that I’m talking Shape Tape I have to give my thoughts on any comparisons between the two, because that’s where my mind instantly went. I love Shape Tape, but I honestly prefer this a bit more. I find it’s a bit more forgiving in terms of application – it isn’t quite as heavy duty, the formula is a bit lighter, and blending is easier. And now, on to the swatches! I’ve swatched all twenty shades and both can be seen in natural light and direct sunlight – hopefully this helps you to figure out which shade might work best for you. In case anyone is curious, I’ve found my best match to be Snow. Oh, and if you want to see swatches on someone with skin a little darker than mine go check out Sam’s video! 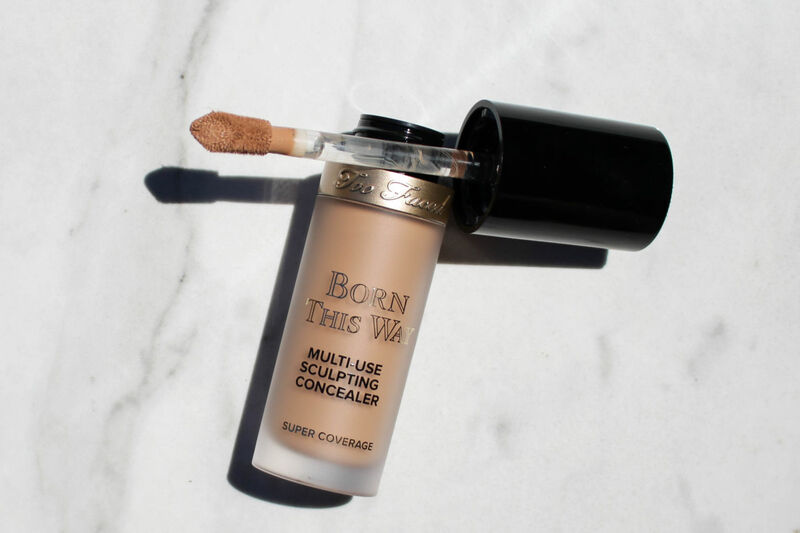 Overall, I’m pretty happy with the Too Faced Born This Way Multi-Use Sculpting Concealer – the formula works really well on my skin and it provides a great amount of coverage. What other concealers have you been loving?